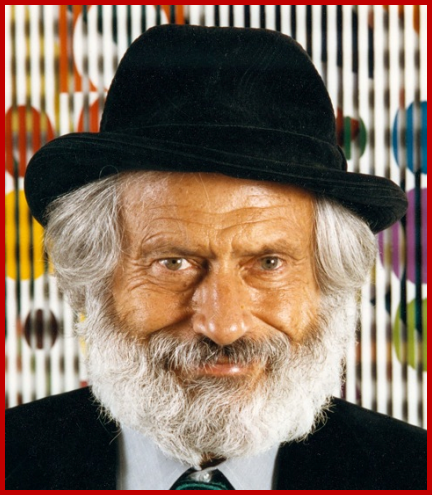 Yaacov Agam was born in Israel in 1928, the son of a rabbi. His father was a deeply devout individual completely immersed in studies of Jewish mysticism and the Kabalah. This intense spiritualism permeated Agam’s world as a child and resonates in his work today. 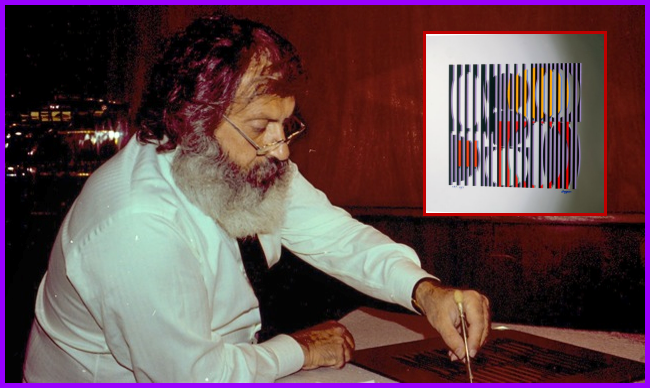 Agam first broke on the art scene in Paris in 1953 with a one man show which challenged the way viewers “look” at art. His art can exist only in its relationship to the viewer, no longer a static form to be hung and contemplated from afar. Agam’s artwork is meant to be touched, moved, and manipulated by the viewer, earning him the honor of being the “Father of Kinetic Art”. Agam studied art at the Bezalel Academy of Art in Jerusalem, then went to Europe in 1950 to travel. During this time ideas involving abstract art and color harmony had a profound influence on Agam and he became obsessed with the fourth dimension of time in his art. He eventually settled in Paris, which remains his primary residence today. Agam’s works are exhibited in the world’s leading museums, including the Museum of Modern Art, New York; the Hirshhorn Museum, Washington, D.C.; and Pompidou Center, Paris. His one-man exhibits have been featured at the Guggenheim Museum in New York, the National Museum of Modern Art in Paris, and the Tel Aviv Museum in Israel. His monumental creations grace numerous public places and institutions worldwide. 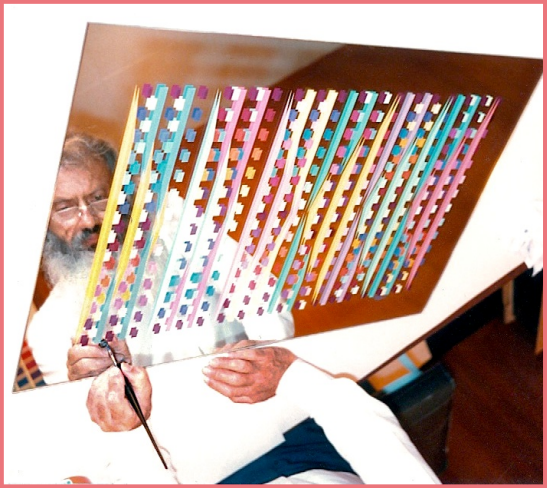 Agam has also designed a variety of original Torah arks and stained glass windows for synagogue sanctuaries, as well as religious items such as mezuzot and tallitot. Agam’s signature artform is the Polymorph and he is the master of this technique: a single image presented in triangular relief revealing many different images dependent on the position of the viewer, as the viewer moves and shifts position in order to see the artwork in its entirety. Other unique variations of his changing-image artforms are Agam’s Prismagraph, Multigraph and Agamograph limited edition wall sculptures. Zimmerman Editions was Agam’s North American atelier/printer for almost twenty years.